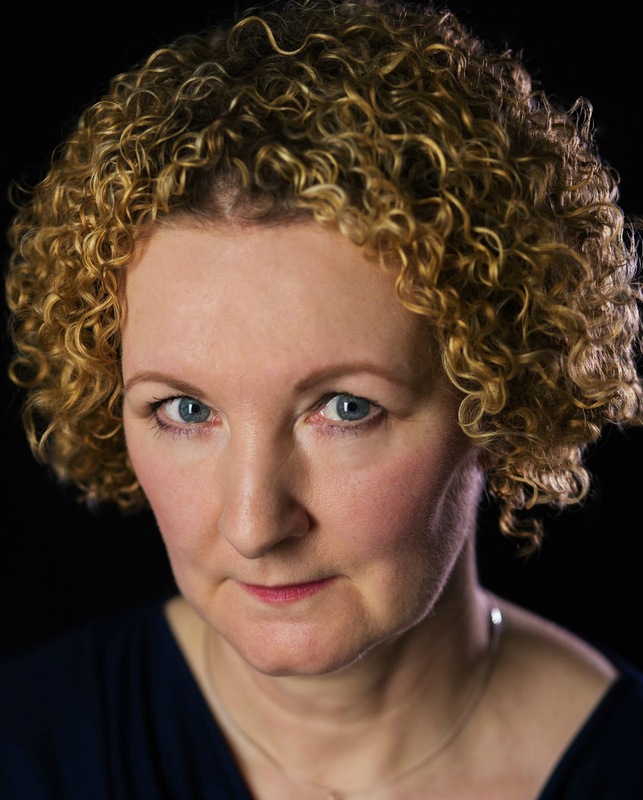 Have you met Beverley yet? The Queen of Bookstagram, I previously posted about her collaborative 6-word story prompt challenge. She's one of the nicest people on the planet, recently acquiring an agent and an extremely talented writer. Taking her inspiration from Anne Rice, Stephen King and Neil Gaiman, this gorgeous bird 😉 enfolds you into her stories with wide open arms and may not ever let you go. Continue after the Q&A for synopses and my reviews of The Making of Gabriel Davenport and A Shining in the Shadows. Let's see what's going on in Beverley's head, shall we? I would love to say that I have a definite routine and that I’m very organised but alas that is not true, and I don’t have a specific time of day to write. I’m very much character led as I’m working, which means I plan a little bit and then hand it over to my characters to give me their approval. If they stall and the words are hard work, I know I’m thinking along the wrong lines. Once I get the threads starting to weave together I’ll usually go for a certain number of words a day to keep myself accountable. Sometimes those words can be penned very quickly and others I’ll still be sitting in front of my screen five hours later! I’m a huge scribbler of random phrases and thoughts though – I have notebooks full of them, most not very legible. Because I write multi POV and my stories span a short space of time it’s sometimes hard to link everything together with the right timeline. One of my drafts is a continuity one. I go through the entire story mapping out who was doing what and when, to make sure there are no gaps or overlaps. In Gabriel I lost an entire night for a couple of characters and had to rewrite! I don’t have a specific number of hours. It can be as little as one or as many as seven, depending on where I am in the story and that dreaded word sure to strike fear into any writer’s heart - deadlines! Absolutely none. Apart from that I have to have tea by my side (I’m a Brit, what can I say?). It’s my writing fuel. Coffee just doesn’t work! The least favourite. That’s easy. Marketing. I would much rather be writing or even editing then ploughing my way through the minefield of marketing. It’s a necessary evil for indie authors but a virtual black hole of time. I can spend hours without even realising, chasing what might work. 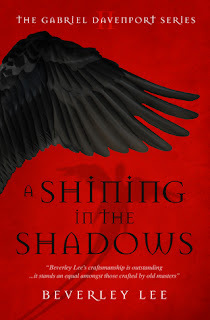 Point of fact, this time last year just before The Making of Gabriel Davenport launched and I was just starting to learn the ropes of marketing, A Shining in the Shadows was finished and on its fourth draft. This year the third in the series isn’t even written. That time was spent marketing. My favourite. When a character really grabs a hold of you and refuses to let go. When the words won’t stop and the scene playing out in your head is going so quickly your fingers can’t keep up. That’s pure magic. Ego is a strange beast for writers. I think most of us carry a huge amount of self-doubt throughout the writing process, along with periods of ‘this is the best thing ever written!’ so our ego constantly ping-pongs about. It’s easy to compare ourselves to other writers and get hung up on sales rankings etc, and that’s when the ego either takes a sharp nose dive or it soars like a bird. But we have to remember that we’re all in this together and other writers really are some of the most generous and supportive people on the planet. I was an avid reader as a child, devouring the contents of the school library very quickly and eager for more. When I was about seven my class always had a story read to them before the end of the school day. My teacher would often call on me to deliver that story, and I still remember sitting on a little wooden chair reading out loud to my peers. Their silence. Their captivation. It sealed the magic of words for me. I have numerous stories clogging up my hard drive, some dating back to the beginning of the internet! I don’t think any of them will ever see the light of day but there are characters in them that just might. 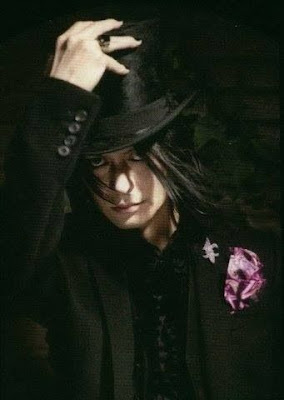 If you could cast the characters of The Making of Gabriel Davenport or A Shining in the Shadows for a movie, who would play your characters? If I *had* to pin an actor down that could pull Gabe off I’d say Kodi Smit-McPhee. My master vampire, Clove, gets a lot of love. This is just about spot on for him. I read them all! But I only respond to the good ones. I once read that you should never reply to anything negative as it can get ugly very fast. Reading is very subjective and not every person will like what you write. That said, when I got my first one star on Goodreads (no review, just that rating!) I wanted to cry. But even Stephen King gets those. It’s just a rite of passage. Now you can call yourself a real writer! I’m a huge lover of nature and history so I’d like to work somewhere like the National Trust here in the UK which is a conservation organisation that upkeeps historic places, coastlines, forests and gardens for future generations. My editor. Yes, it’s a huge expense but a good editor can take a story you think is polished and make it shine like a diamond simply by deleting a few words! Ha, I do and I’ve just done it now! The second entry is my Goodreads page which makes me pretty happy and my website is also listed. All goes to prove that my SEO is working! Some form of falcon or hawk. I flew a falcon a few years ago when I spent a day at a bird sanctuary and the thrill of getting such a beautiful bird to fly to your hand is amazing. I love how they are so graceful but yet deadly. My writing contains both beauty and death so I think the fit works very nicely. On a side note, I mention red kites in Gabriel, and this magnificent bird of prey is seen quite often in my local skies. They were saved from national extinction by one of the longest running protection programmes. Every time I see one in flight it gives me shivers. I’m not sure which literary character is most like me, but in my writing there’s definitely a lot of me in Noah. He’s the one who always tries to please everyone else, sometimes to his own discomfort. He’s the voice of logic in a crisis and he’s loyal to a fault. I find getting in his head very easy for that reason! Anne Rice and her early Vampire Chronicles have been a huge influence. Lestat was the first anti-hero that I fell in love with. Stephen King for his superb character led stories and his dark, limitless imagination. Neil Gaiman for taking the fantastical and making it believable. That you can’t edit a blank page. Before I wrote Gabriel I was one of those writers who try to make everything perfect, paragraph by paragraph. You can’t write a book like that. It has to flow from your imagination and stopping to correct your grammar is a sure-fire way to stunt that little muse into running for the hills. Plenty of times I can’t think of the right word so I’ll just insert a few crosses or the same word will reappear in every paragraph. I write my first draft in Scrivener and the note taking binder there is perfect for adding things like ‘check this blooms then’ or ‘continuity’ without interrupting your mind flow. First draft=vomit draft. Get it out. Clean it up afterwards! How did you fall into Bookstagram and what do you think has been the greatest thing you've taken from it? I started a bookstagram account in the summer of 2015, or rather I started an Instagram account then. My first photo was of a cake I’d baked and I knew absolutely nothing about hashtags! Then I discovered that bookstagramming was a thing. I joined a few book challenges and instantly fell in love with the concept and the people I’d met. That year I was writing Gabriel and the support I got from other writers and readers was instrumental in focussing my attention and making me believe that I could actually do this thing called Publishing a Book. Social media gets a very bad rap for being a blood sucking monster only out for its own ends, but bookstagram is that little oasis in the desert where that monster doesn’t play. I’ll be forever indebted to the people who have supported me and a lot of them I’ve met and are firm friends now. I feel very lucky to have found my tribe in my bookstagramfam. Not many people can say they have a place where they truly belong. It's been a long time since I've read a book where there is such a foreboding and underlying sinister feel. We start with Gabriel as a baby and a mother trying to keep her wits about her while protecting him. Flash forward to Gabriel as a teen, living in a home for special kids with an extended family who also protects him from a harm he still is struggling to figure out. Find a priest coping with his faith, evil entities seamlessly threaded in with shivering dialogue, vivid descriptions and a short-chapter-fast-pace that keeps you turning the pages. (I got to the end, read the about the author and the acknowledgements page and tried to find more pages to turn... ) I absolutely am thrilled in the direction this is going with all the characters: Clove, Moth (oh Bev... I LOVE this! ), Teal, Gabe, Noah, etc. etc. If you like demons, vampires, ghosts or anything paranormal and brooding, then you must read this book! Very much looking forward to the next installment as that ending was WOW. 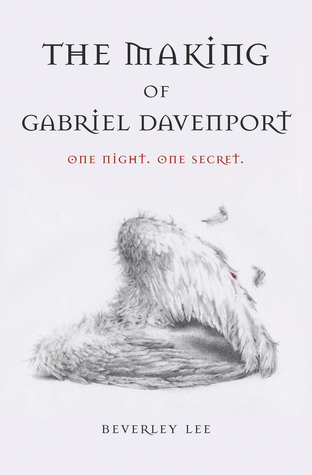 Synopsis: Gabriel Davenport has been remade from darkness. Now, he must adapt to survive . Gabriel finds himself thrust into a new nightmare, where the hunter becomes the hunted. When his maker is taken, he must battle to untangle the mystifying clues laid out in an uncovered labyrinth to find the only creature strong enough to fight against those that hunt his new-found family.Gaze long into the darkness, and you'll find old vampire foes out for revenge, new ones with their own agenda, and a witch who holds the key. But just who is the monster in the middle? 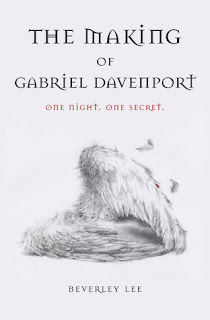 My Review: Gabriel has woken up into a brand new life, unable to see anyone from his past and learning his new ways. In the vampiric world, things are getting bloody. New problems arise with the talk of impure blood vampires being hunted - a cleansing. 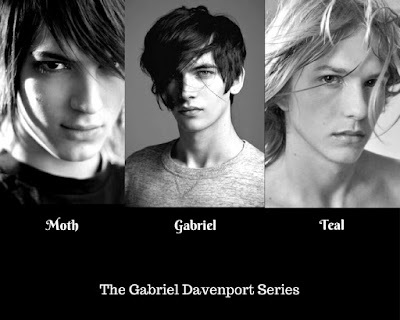 Gabriel finds himself, along with his brothers, having to fight to save his new family while still trying to fit in and control his new abilities. The past comes back to haunt him while he fights for his future. How can he find a way to survive without completely losing himself in the process? Fabulous Q/A Chandra and Bev. I can't wait to see what happens next.